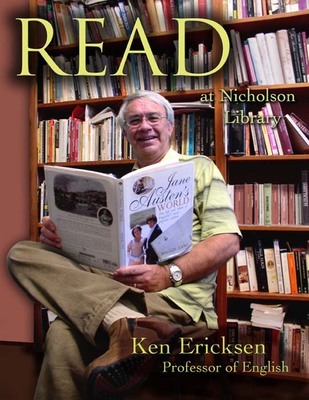 Ken Ericksen, Professor of English, reading Jane Austen's World: The Life and Times of England's Most Popular Author, by Maggie Lane. Terry, Paula and Nicholson Library Staff, "Ken Ericksen READ Poster" (2008). READ Poster Gallery. Image. Submission 29.